Check out our four must-try restaurants in Tobago for breakfast! Breakfast is available at these places most days (including Saturdays and Sundays) and most offer a mix of international breakfast dishes and local classics like fried or roast bake, buljol and chokas. 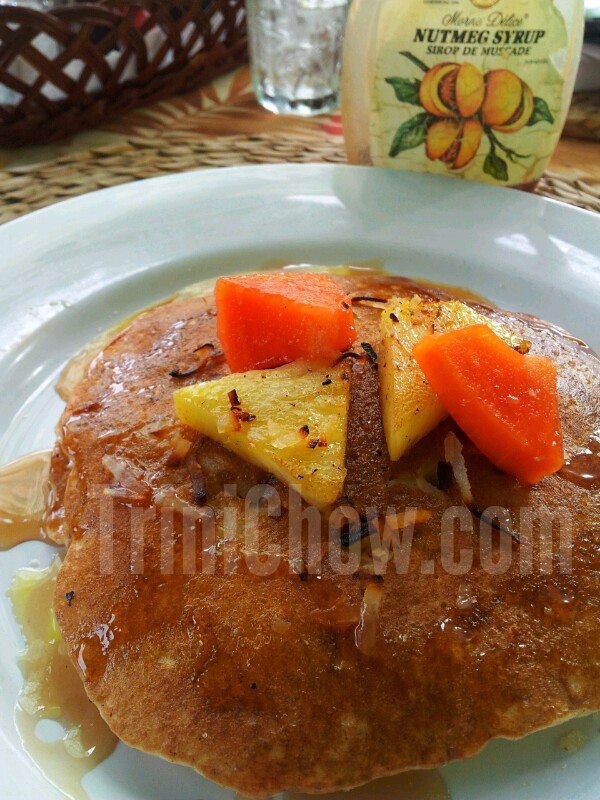 HOUSE OF PANCAKES (Crown Point, Tobago): T-HOP as we have nicknamed it, is a breakfast institution in Tobago. You can’t go wrong with the swoon-worthy coconut pineapple pancakes and sides of scrambled eggs and bacon. Two tips – try the Morne Delice Nutmeg Syrup on your pancakes or waffles and go early to avoid the crowd (and the possible wait). Breakfast everyday 7:30am-12:30pm (closed Tuesdays). (868) 639-9866. Link to our House of Pancakes pictures. PEMBOIS BUFFET at MAGDALENA GRAND BEACH RESORT (Lowlands, Tobago): At $165 per person (inclusive of tax and service charge), Magdalena’s Pembois Buffet is a great choice. Pembois’ daily buffet breakfast has an omelet station and a spread of fruits, meats, cheeses, breads, pancakes and waffles, cereals, beverages, and rotating local favourites including black pudding. Ask for the local Smak Teas, our favourites are the Caribbean Chai and the Tobago Breakfast. Breakfast buffet everyday 7am-10:30am. Children 5-12 are half price and under age five are free. (868) 660-8500. Link to Pembois pictures. KARIWAK VILLAGE RESTAURANT (Crown Point, Tobago): Start your day at Kariwak with a full-on healthy breakfast of fresh, house made yogurt, granola and breads, fruit, coffee and tea, and rotating breakfast specials like the fried flying fish, omelets, spicy smoked herring with a boiled egg, and more. Extend your relax mode with Kariwak’s Spice Tea, made from ginger, cardamom, black peppercorns and bay leaf. Breakfast every day 7:15am-10:15am. (868) 639-8442. Link to our Kariwak breakfast pictures. 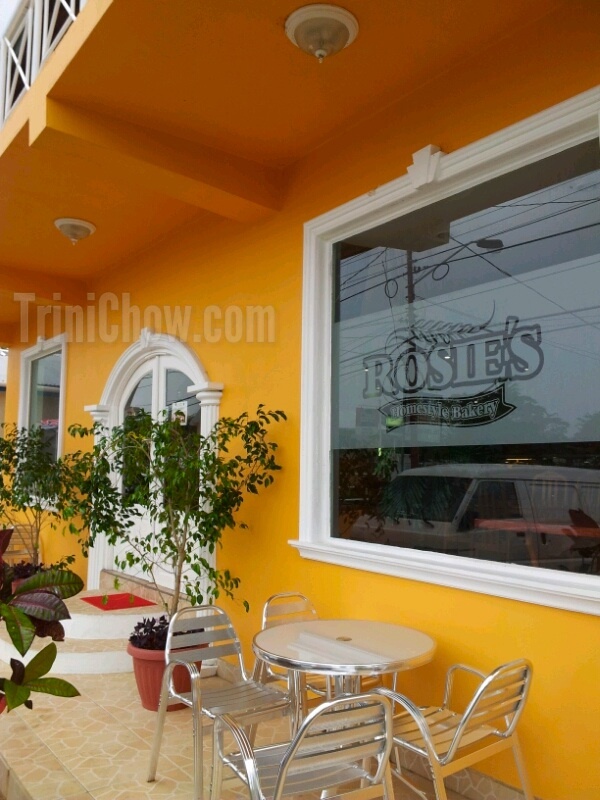 ROSIE’S HOME STYLE BAKERY (Bon Accord, Tobago): Good for a quick breakfast, Rosie’s is the most wallet-friendly and casual of our Tobago breakfast picks. This bakery turned eat-in restaurant still offers everything from currant rolls to pumpkin bread alongside roast and fried bakes, buljol, sausages, saheena, and other local breakfast food. Breakfast everyday (closed Saturdays). Parking is limited. Food is pre-made and available in warmers. 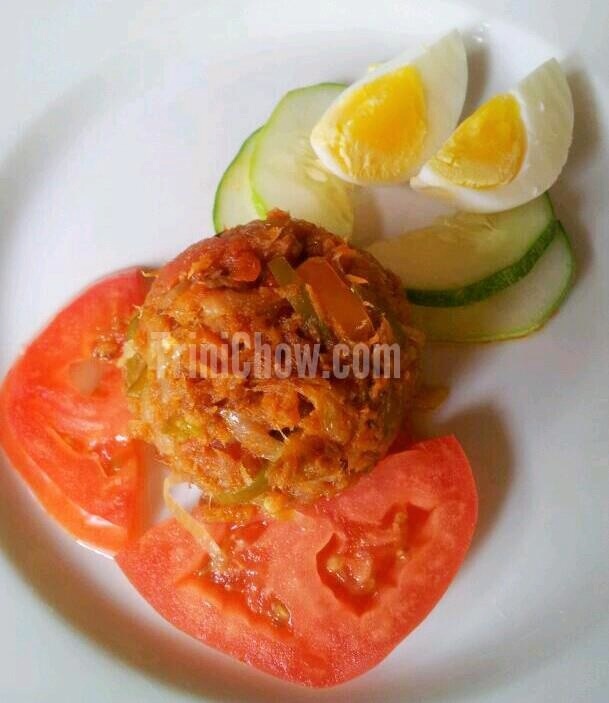 Follow TriniChow on Facebook to keep up with restaurant news in Trinidad & Tobago. 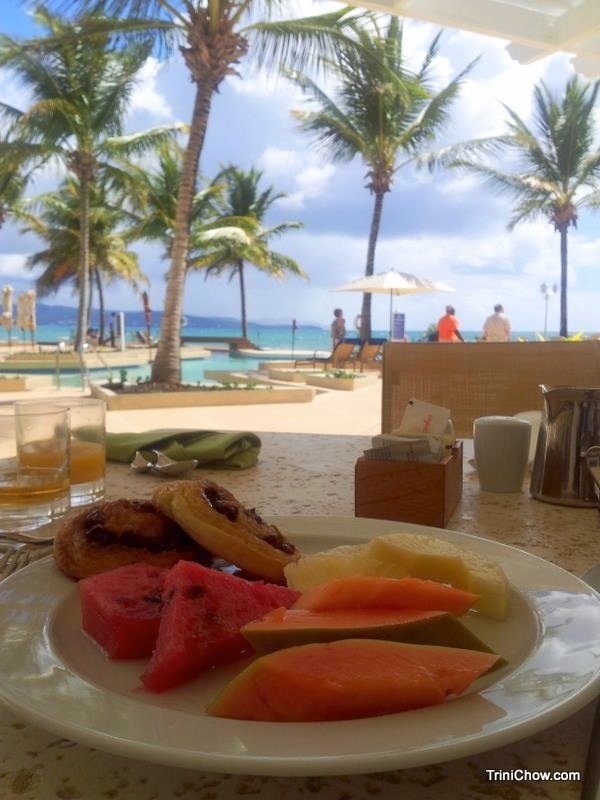 Tags: Breakfast Tobago Restaurants, Tobago Restaurant Guide, Trinidad & Tobago Top 5. Bookmark the permalink. P.S. She said you’ll be very disappointed to hear this. Hi Alicia, so happy to hear that you liked Syps and yes I know that she’s closing 😦 We’re going to really miss her as Syps has been our Sunday breakfast ritual for several years. Colours should be on top five. Excellent breakfast! You must eat at Golden Girls Bakery on Milford Road!!! Bake Bake/Bread and a host of accompaniments-sausages, saltfish, smoke herring etc washed down with coffee, tea, juices and other soft drinks. Real value for your money. You could dine inside or outside on the verandah.